This is a great book. I had a bit of a hard time with the first one only because it was a new spinoff series with Michael Talbot, and one of the issues I had was wanting the book to be another Zombie Fallout novel, so I had to acclimate myself to the new storyline. With this book Tufo really brings you into the new story and as always makes you laugh with his great characters. I love how there's always tidbits from other stories of his that give little clues or insights into previous tales or even foreshadow things to come. I've learned to pay attention because if you blink you'll miss them. Tufo is one of the best authors I've ever read, and of course Sean Runnette is amazing. I'm now hooked on this new series. 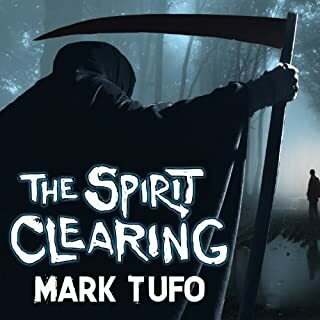 Mark Tufo has done it again! 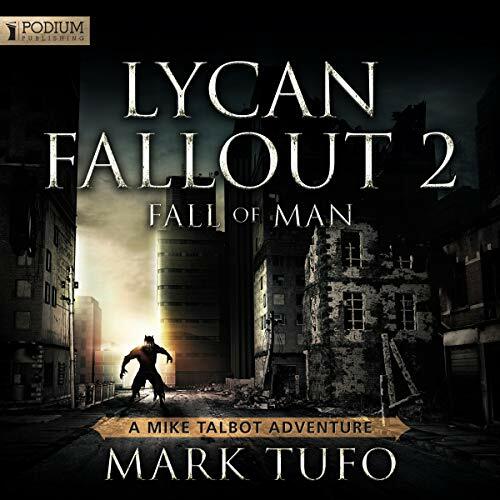 Every book that Mr. Tufo writes is great, but Lycan Fallout 2 shows the progression of a great writer. After writing as many books as Mark has written, you would think that ideas would be hard to come up with, but his writing, character development, and plot, if anything, just keep getting better. On the day that Lycan 2 came out, I pulled over right at midnight(I drive truck at night) and downloaded it at exactly 12:00.20. I am so glad I did. If you are new to Tufos writing, you REALLY need to read or listen to his books. You will love this book. After having the tales of Michael Talbot read to me by Sean this book is just as good as any of the previous in the series. 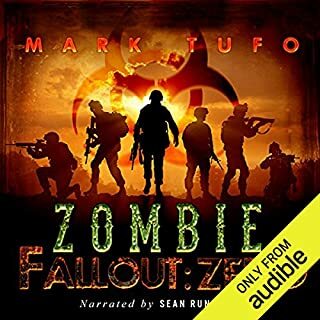 If you haven't listened to any of the Zombie Fallout series, I recommend you start with the original Zombie Fallout book and work your way towards this one. Such a fun series. Love you to listen to to all of the different series written by Mark Tufo. His writings paint such a picture that you feel like you are in the stories! Sean Runnette has such a captivating voice, great narrator! Brilliant!!! Another fine addition to Mr Tufo's collection. This book exceeded all my expectations. I can't wait for what's next! Know that Mike is not exactly the same guy as in the zombie series. All those years by himself changed him.... 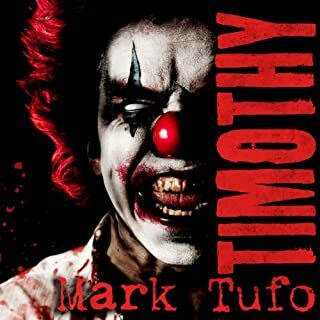 I feel sorry for the guy... wonder what Mark Tufo will do to him next.... And you can't have a Mike related book without laughter, really was funny in some moments. If you red the first book then go ahead and read this one as well.. don't touch this book if you didn't read the zombie series, you must start with that series first. Can't wait for the next installment!!! This series is just as good....maybe even better....than the Zombie Series! Well worth the price! Lycan 2 opens with Mike Talbot and Bailey mourning the loss of Tommy – Talbot’s one tether to his old world. Spinning out of control for a short bit – Talbot comes back full force with a vengeance – against Lycans! Although Talbot has concrete, steel and titanium barriers up around his heart a few people worm their way in and become more than friends – family. Of course what Matthew can brew up helps to break those barriers down big time! Azile, the Red Witch, makes her move as well, both in battle and out. Talbot doesn’t stand a chance – he will rejoin the human race if it kills him. Political intrigue which Talbot has very little patience for and against all odds, he is the man, the savior of Talbot town. Again, Michael Talbot is entertaining with his unique mannerisms and masterful delivery of one-liners that will have you snickering then full-out belly laughing. Talbot’s memories and ties to his family are poignant and heartfelt leaving the reader near tears and sometimes smiling. Lycan 2 is not for the weak at heart as it is violent and gory. The mannerisms of Michael Talbot and his relationships snag the reader and create a bond that is strong. Talbot is addictive! 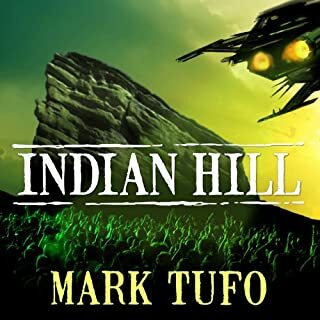 Mark Tufo maintains the personality of Michael Talbot and his other characters sometimes bringing them out in new friends but the integrity of Michael Talbot remains clear and ever present. Sean Runnette is Michael Talbot. He has embodied the Talbot mannerism and quirkiness excellently. Runnette is an excellent narrator for this series. Podium Publishing did an excellent job on the production as they provided a clear production without distracting noises or other issues. Just brilliant as usual. Perfect character development, story and reading. I cannot wait for the next book. Love these books. You get so caught up in the characters. Great writing with that touch of humour to go with the horror. Just a amazing as the first! Loved the second just as much if not more than the original can't wait to listen to part 3 and seans voice has really grown on me! 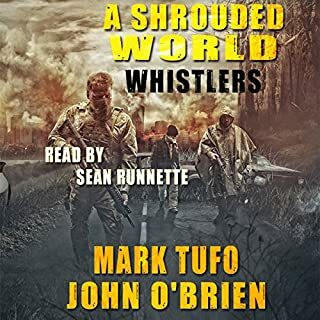 Humour, horror, excitement and sadness all from the mind of an amazing Tufo and narrated from the brilliant and believable Sean Runnette. 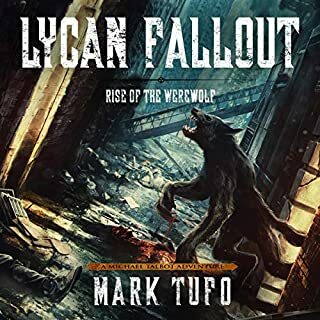 Another amazing book by Mr Tufo I usually wait until I read the books before buying the audio but what the simultaneous release of both I had to get this one. Very much looking forward to Lycan fallout 3 as well as IH5 and Tim 3! One of the best narrator/author combos. Lycan Fallout is very entertaining and gritty. Excellent work as usual!